Bench desking provides you with a flexible, versatile and functional workspace, sporting clean lines and clutter-free spaces, ideally suited for the modern office. 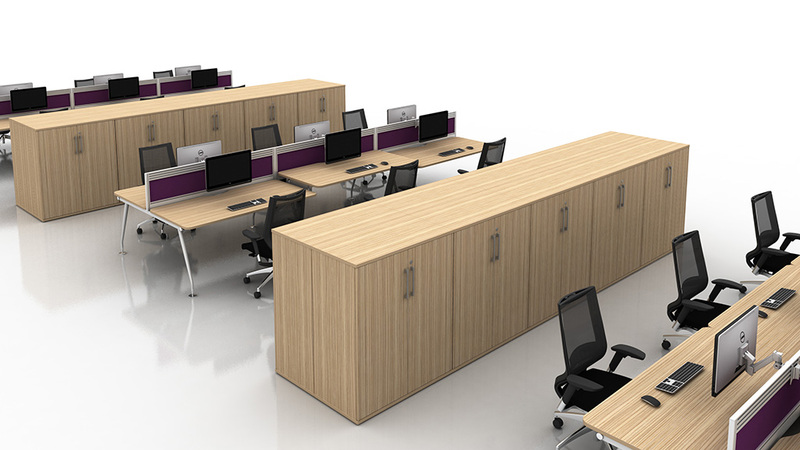 Bench desking use a beam system meaning desks share components which helps you make the most of your office space. 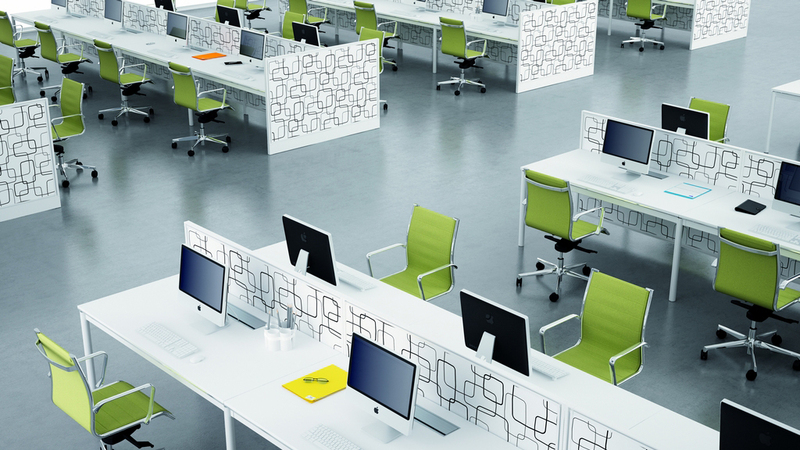 There are many different ranges of bench desks available for you to choose from, available in a wide range of shapes and sizes to suit all styles and layouts. 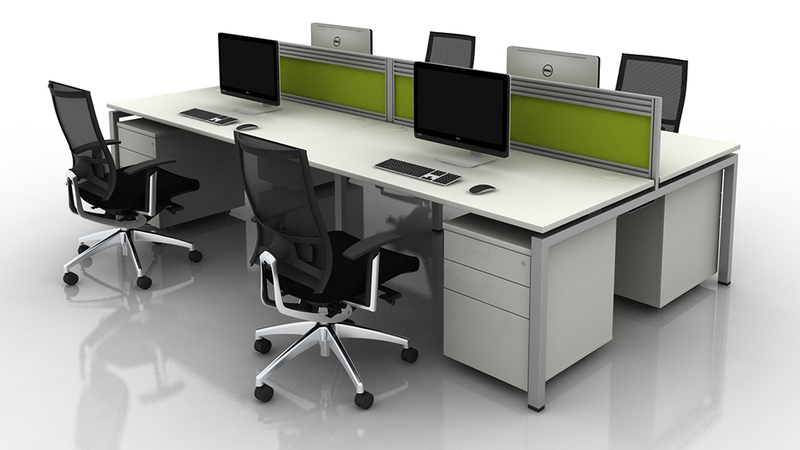 All bench desking comes with matching storage, cable management and desktop screens. If you want to find out more about our range of bench desking why not have a look at a small selection we have put together for you. Alternatively, if you’ve already chosen, contact us now and one of our sales representatives will be more than happy to start your office project today. 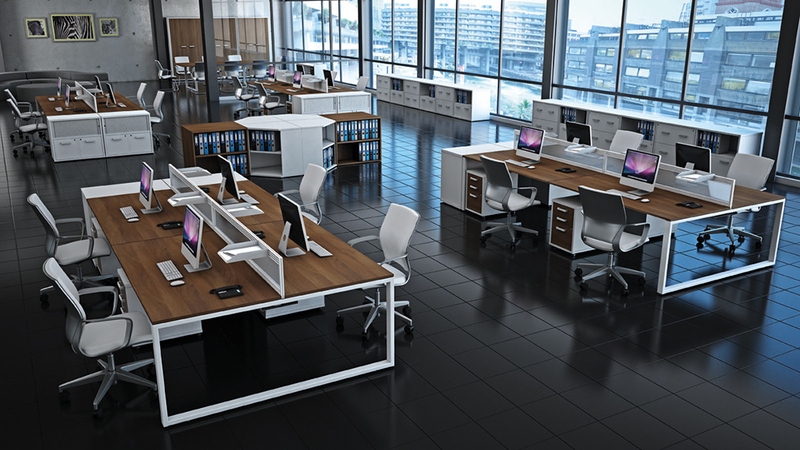 The iBench desk range is ideally suited for the modern day office. It provides a sophisticated and corporate image by incorporating a contemporary design with modern materials and finishes. 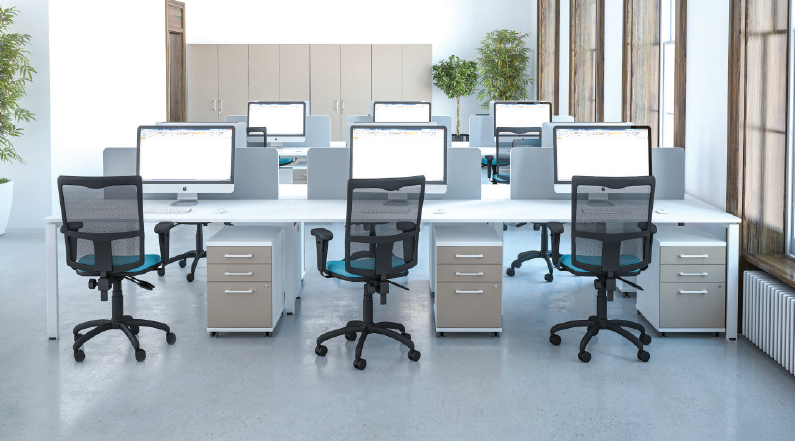 Available with a choice of three leg options, three trim colours, three work top shapes and a wide range of MFC finishes to aid you in creating the perfect colour scheme for your office. Pure Bench desks are a modern take on an affordable and stylish desk system, available in a range of two tone combinations to suit any office scheme. The X4 bench desk has an aesthetically pleasing simplicity; with an ergonomic and dynamic combination. Thanks to a wide number of leg and finish choices, the X4 bench desk can be completely integrated to work for executive and operative solutions. Soho2 bench desks are designed in a responsive and comprehensive way which adapts to a variety of aesthetics, working styles and environments. 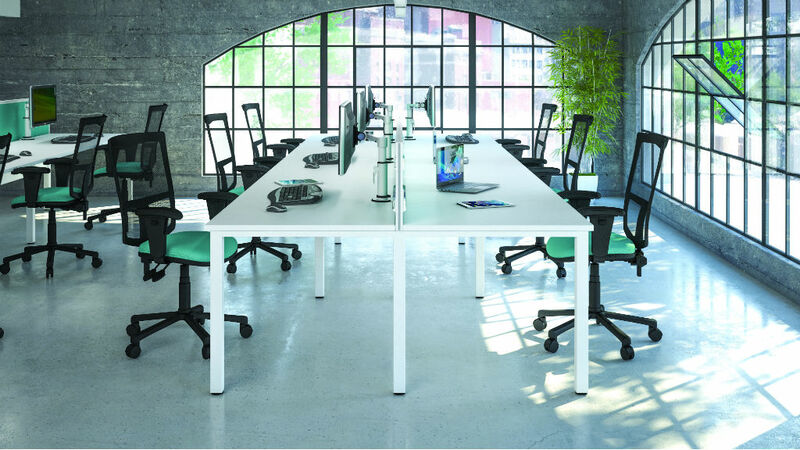 Soho2 bench desks include goal post leg frame, integrated sliding tops as standard and telescopic cable trays which enhances flexible working solutions. The Veta Bench desks range is the latest addition to the ever popular Bench desk market, offering all the characteristics of a modern system but more lightweight and more practical with desktops at 700 deep.